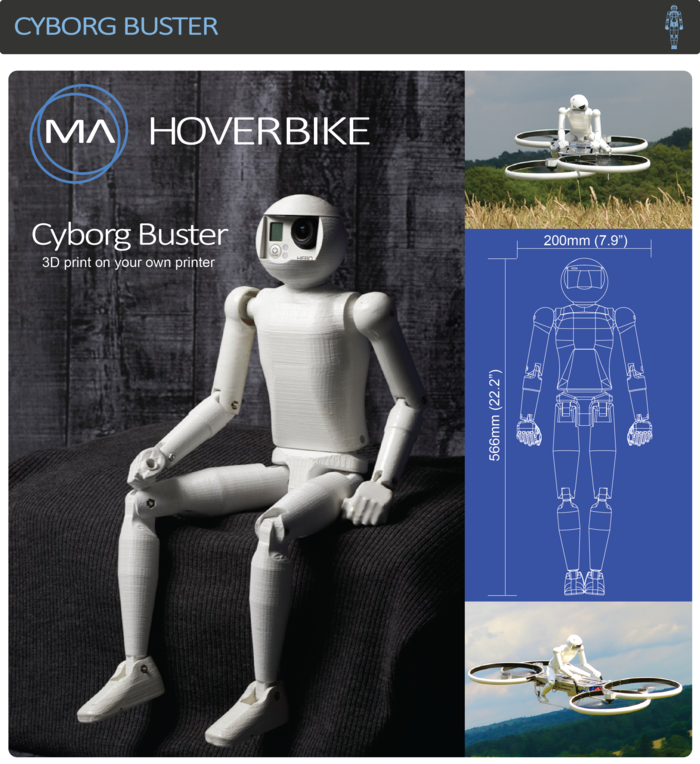 Malloy Aeronautics is offering a scale model hoverbike with a robot rider as a backer reward for its Kickstarter campaign. It's a bird... It's a plane... It's... A piece of technology riding another piece of technology. Huh. 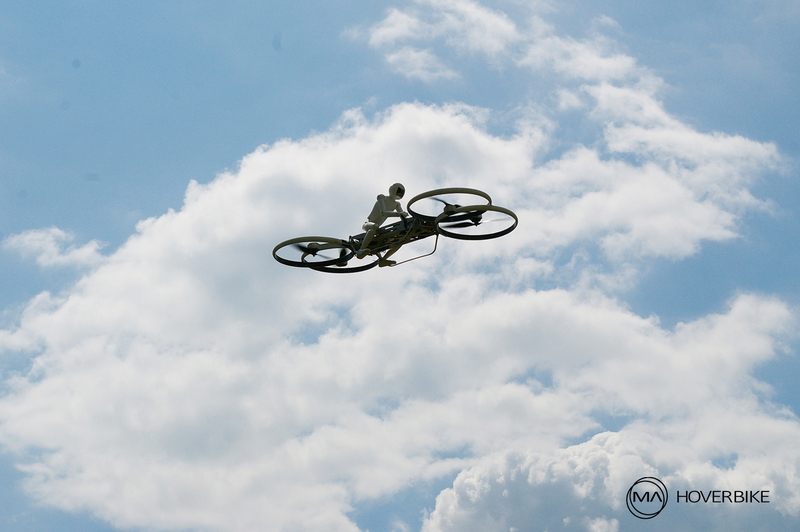 Created by Malloy Aeronautics, the Drone 3 hoverbike is a one third scale model of what will be the final design intended for human pilots. 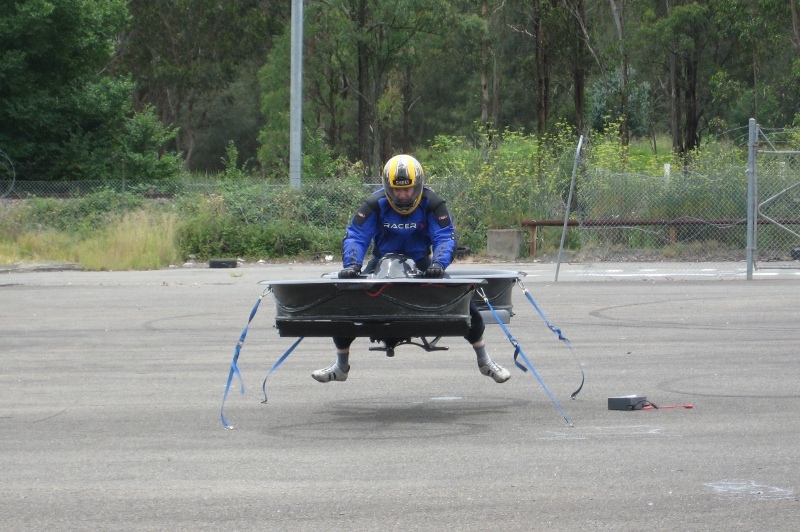 But right now, it's a 3D-printed, plastic robot that is riding the contraption, with a GoPro camera built into its face. 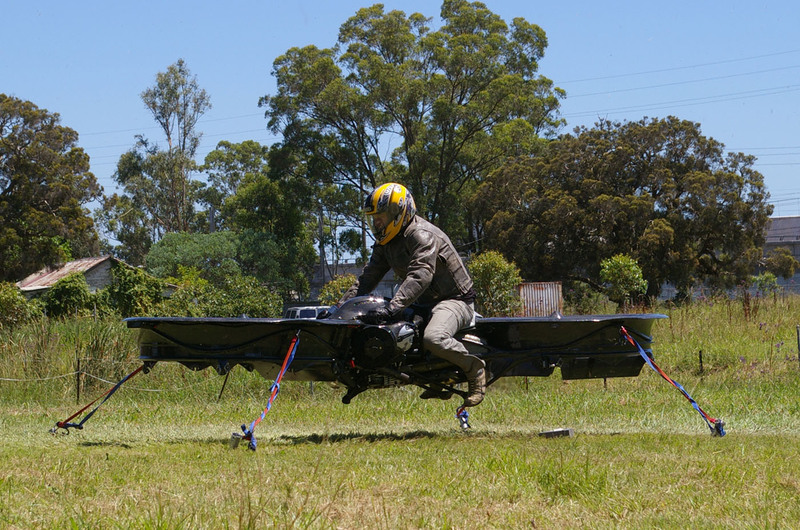 Combined, the robot and hoverbike weigh in at 15.4 pounds, and you can get your hands on one of these pairs yourself by pledging at least 715 pounds (just under $1000) to the Kickstarter campaign, which is less than three days away from ending. 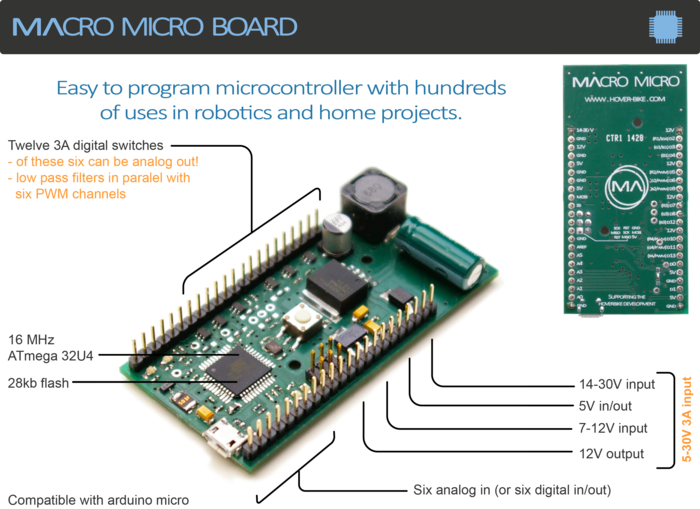 Looking to raise 30,000 pounds (~$50,000), creator Chris Malloy presently has just over double that amount in pledges. 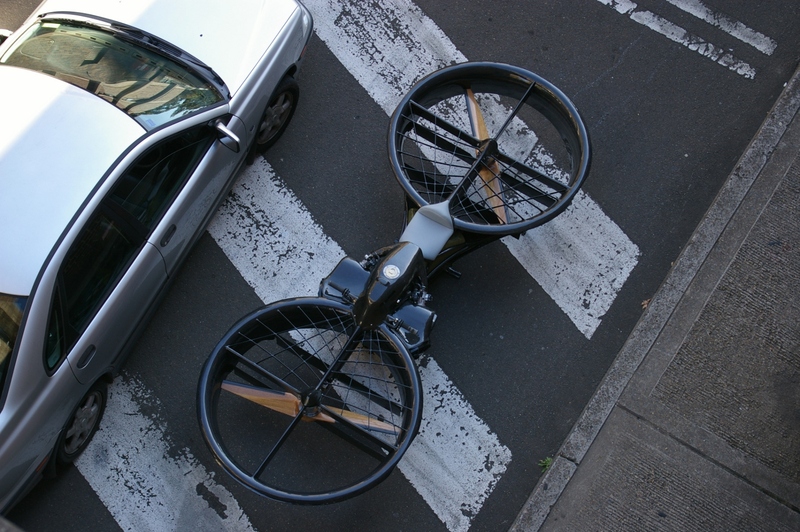 We first reported on Malloy's prototype hoverbike in 2011, back when its design used two large, ducted fans for lift. 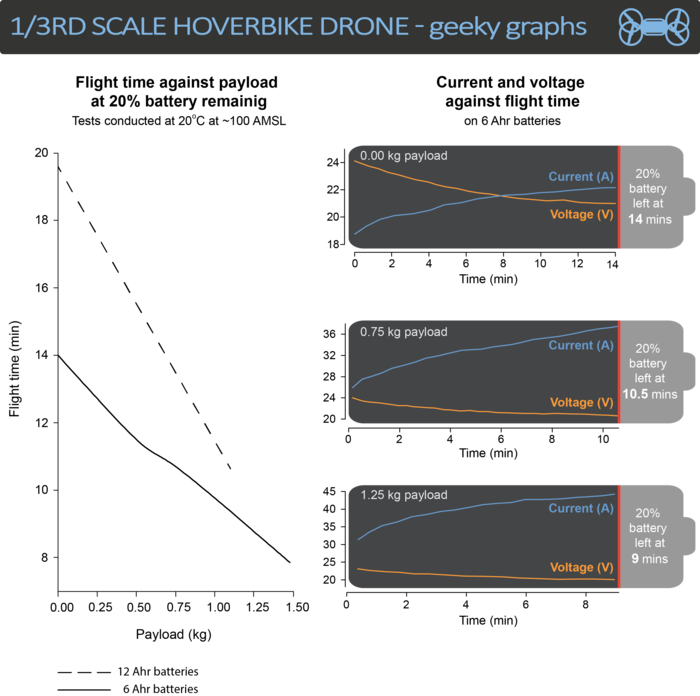 Now, Malloy has shifted to a quadcopter design with partially overlapping fans. 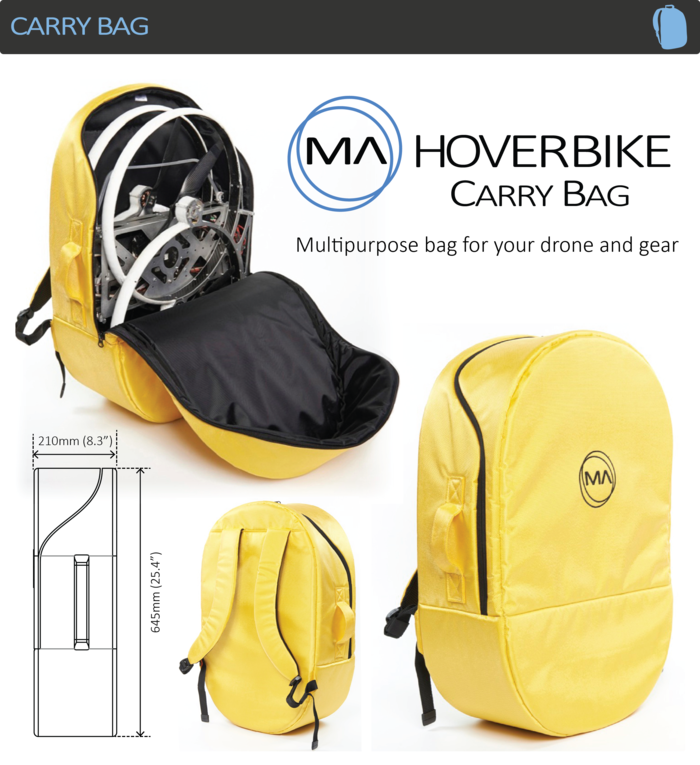 The prototype can fold up along two hinges and fit into a custom backpack. Malloy's team is in the final construction phases of the latest manned prototype, and flight testing is slated to begin in a few months. 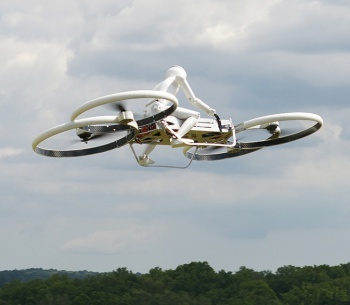 Malloy is based in Australia; in the US, the FAA has been banning delivery drones. 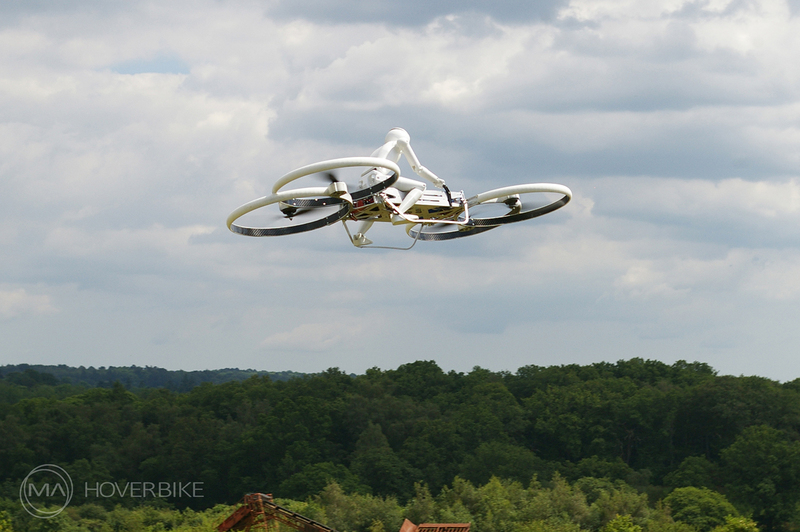 While I would love to have a hoverbike - even a scale-model one - I wonder what kind of nightmare it may be to regulate airspace if such technology becomes common. 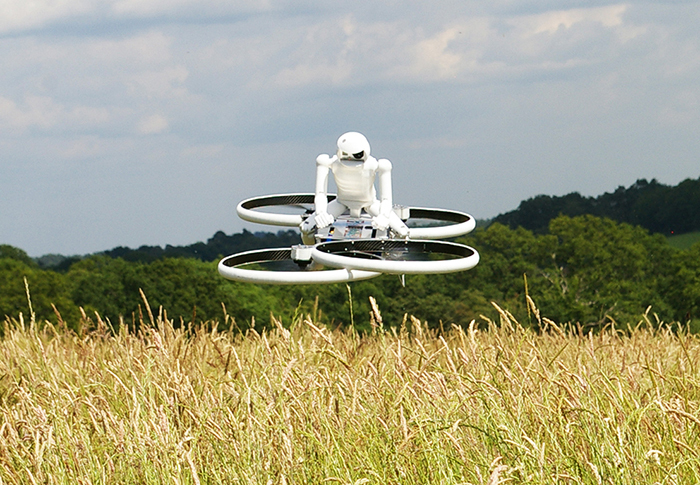 Do you see a future in which everyone gets to ride a hoverbike?